This past weekend I spent time with some family in NY, as I was attending the 8th Annual Gotham Wine Extravaganza, which I MUST say was the best one so far. Both the VIP tasting, and the wines and ambiance at the normal tasting, were really fun and enjoyable. Kudos to Costas and the entire Gotham staff. On another aside, I helped to open bottles this year, which was really cool, because it will probably be the one and ONLY time I get to open a 2007 Yarden Rom bottle, at 170 bucks a pop, it is a safe bet that I had my onetime fun in the sun! My entire time spent in NY was just lovely, and spending a lovely shabbos with my family and then going to a wedding of friends of ours on Sunday capped it off. All in all a great trip that was punctuated by a rather large number of dud restaurants in the larger NY metropolitan area. The only really good “restaurant” was a pizza place, that made a lovely whole wheat and vegetable pizza, but the fries and onion rings were deplorable. So that is my quick recap of the past few days. The wines I enjoyed over shabbos were quite nice and highly enjoyable. The nose on this dark garnet colored wine is hopping with rich espresso coffee, nice dirt, raspberry, cranberry, and cherry. The mouth on this medium to full bodied wine is rich and silky with more espresso, ripe raspberry, dark cherry, and lovely tannin. 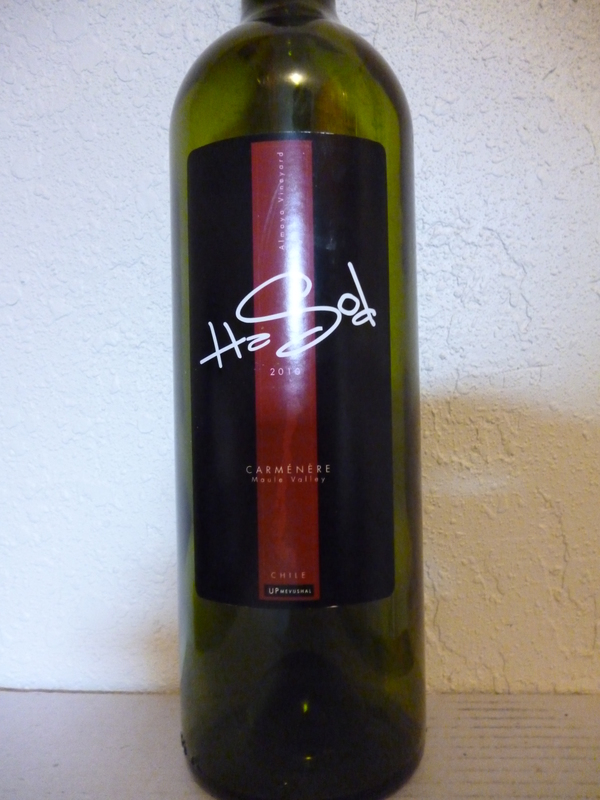 The mid palate is balanced with dirt, acid, tart fruit, oak, and tannin. The finish is long with nice red fruit, acid, tart raspberry, cherry, and espresso. On a side note, this is a wine made by the only full time kosher winery in Italy! In case you are wondering what a Coupage is? It is loosely translated from the French as “cutting”, which is another way of saying a blend. The nose on this dark garnet to black colored wine is exploding with spicy black pepper, crushed herbs and green notes, dark black fruit, blackberry, black cherry, plum, cedar, slight floral nose, more cedar, mineral, and tar. The mouth on this massive full-bodied wine has yet to even start to settle down, the tannins and extraction are intense and nothing has yet melded to give the wine what is expected, a rich full mouth. For now, the wine is massive, intense, inky and showing its extracted structure with blackberry, black cherry, plum, and huge tannin. The mid palate is rich and oaky with raisin, black fruit, cedar, balancing acid, tannin, and vanilla. The finish is super long and super spicy, with cedar, vanilla, spice, blackberry, cassis, tannin, raisin, tar, more extraction, leather and vanilla. This is an exciting wine to keep your eye out for and one that will do well to wait to be enjoyed. Also, kudos to Happy Hearts for importing this wine and not jacking the price up upon realizing what a crazy winner this wine is and will be for some years to come!!! The nose on this dark garnet to black colored wine is rich an oaky with chocolate, dark cherry, bright mineral, cedar, raspberry, cranberry, and rich espresso coffee. The mouth on this full-bodied wine is rich and expressive with raspberry, integrating tannin, cranberry, mineral, and bright fruit. The mid palate is balanced with acid, coffee, chocolate, and vanilla. The finish is super long, spicy, and rich with dark cherry, spice, vanilla, coffee, and chocolate. Rich mouth of chocolate, coffee, dark cherry, and coffee linger long after this wine is gone, which is quite quick!